This summer, travel back to your adolescence. The program is designed to provide plenty of time to explore Thailand, explore the culture and cuisine. Travel with other summer camp counselors all over Thailand during your time away from the camps. No risk and no obligation. See where we can take you! As a summer camp counselor in Thailand, by teaching English during day camps, you will give many children an opportunity to learn an important skill that they can use to better their lives. 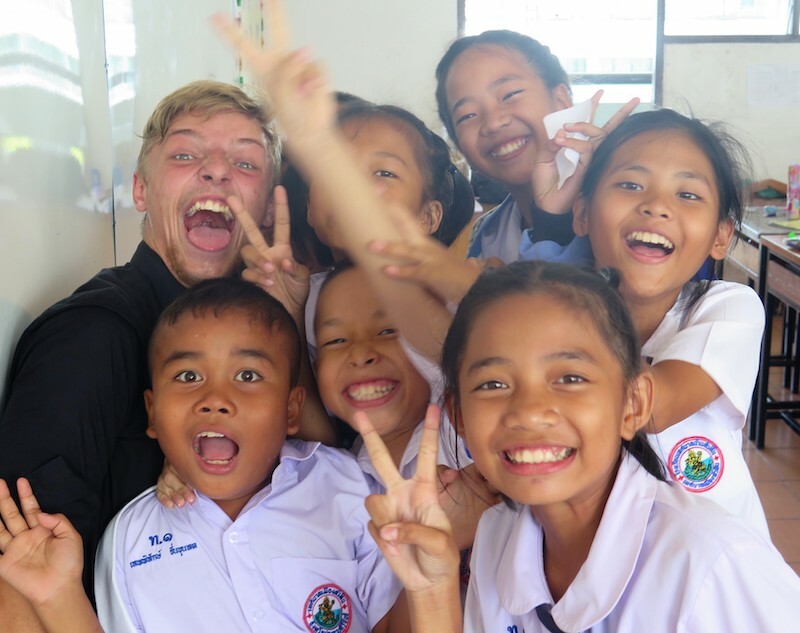 Becoming a summer camp counselor in Thailand is not only highly rewarding, it’s a lot of fun. In Thailand, GeoVisions’ language camps provide English language education to disadvantaged youth. This gives them an opportunity to learn an important skill that they can use to better their lives. These language camps mostly take place in and around schools. Students are offered a chance to practice their English in a more creative setting of activities and learning that make the day a lot more fun. During the camp days you will participate in many creative activities using art and music with the children. You will also have time for plenty of exercise playing soccer during activity time. It’s the Thai kids’ favorite sport. Counselors will have an online prep course. As a "thank you gift" from the camps, expect approximately US$100-150 in local currency. Not included. You will enter on the "O" visa for volunteers. GeoVisions will help you with this process. Current cost for this visa is $80 US. The "O" visa is good for 90-days. Summer camp counselors must be native English speakers. Counselors need to have a college degree or be in college, have one of the following requirements: teaching experience, camp counselor experience, or teaching English as a second language certificate. Have good lesson planning and organization skills. Skills in sports, music, singing, etc are extremely helpful. Share your language with the language camp. It’s easy doing this in a summer camp in Thailand teaching English. Be on time for camp each day. Manage your own personal expenses (telephone bills, clothing, entertainment and spending money). Arrival into Bangkok and then transfer for orientation. Camps are in different locations throughout Thailand so you will be able to see different areas of Thailand in the process. There are two videos below. The first one is an overview of what it's like to be a camp counselor in Thailand. The other is a humorous video about eating in Thailand. You will receive "thank you gift" of approximately US$100-150, in local currency. The fee you pay to be a language camp counselor in Thailand goes to our 501(c)(3) non-profit public charity, The GeoVisions Foundation. The program donation for this experience covers our costs of placing you on the program in a safe apartment and neighborhood. The fee helps our non-profit to provide your accommodation, meals, insurance, pre-departure & in-country support. We provide 24/7 emergency service, manned by real people. We update our tutor materials and tutoring aids constantly and provide a real ESL Teacher who is here via email to give you personalized assistance if you feel you need ideas. You are supported from the moment you contact us to the time you return … and beyond, through our active Alumni Community. This is a volunteer program, and as such, you will need to factor in not only the program fee above, but your airfare and if you live outside the US, your insurance. It is hard to calculate your spending money requirements, so think about any additional meals and travel during your time in Thailand. A comfortable, safe place to live in Thailand. Airport pickup during specified dates. Medical, and accident insurance for US citizens. All counselors will participate in a five day orientation. Orientation and accommodations are included in the program fee. Counselors will have the opportunity to help disadvantaged Thai youth learn an extremely important skill of speaking English. Accommodations are provided and based on double occupancy. Counselors will be placed with another counselor of the same gender. Counselors must pay electricity and water charges. Counselors receive transportation and accommodation when traveling and conducting camps in different regions. Dinners and all meals when not at camp. Accommodations before or after the program. How does GeoVisions choose the location of the camps? There are five camps and you will work at each camp 2 days and maybe on occasion 3 days. Camps are normally run from a local school and as part of a school day. Schools apply in advance to be considered for a visit by GeoVisions counselors. What can I expect as a camp counselor in Thailand? Counselors will arrive in Bangkok and check into accommodations for orientation. Counselors will travel to different schools and locations throughout Thailand and participate in English camps for disadvantaged children. What are the expectations we have of our camp counselors? Work two days each at each camp program plus one day which includes a school visit and camp preparation. Show care with the children; interact with them in a professional manner. Be respectful of GeoVisions’ rules and requirements, as well as the local culture. Follow the detailed rules set out in the GeoVisions Terms and Conditions document, which must be signed and returned before beginning the camp program. Can I go with a friend and live with my friend? We need a total of 10 counselors so the more the merrier! You live in an apartment, so you certainly can room with your friend(s). And it will give you someone to travel with when you're not at a camp. Is there a formal orientation? Yes. 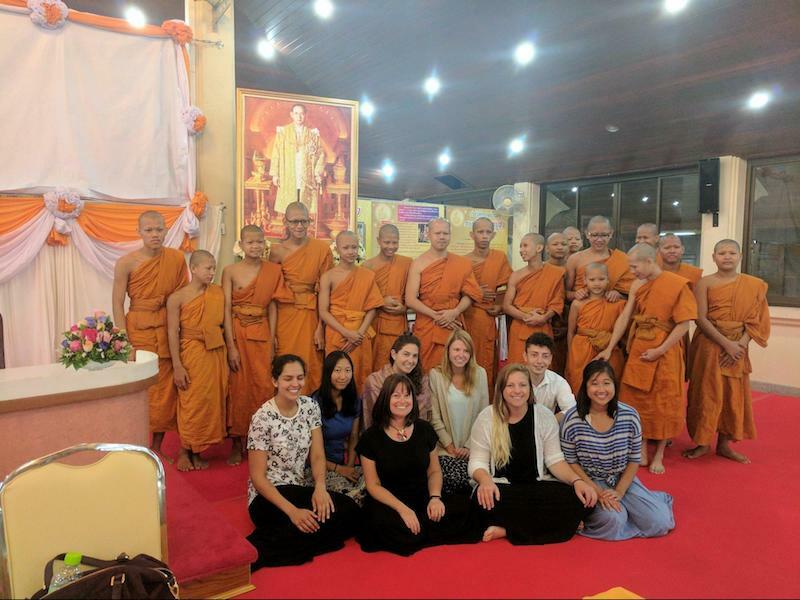 GeoVisions provides a 2-day orientation program in Bangkok, Thailand that covers Thai language, culture and society. There is also one day or “hands on” experience. What about room and board? Is that included? Included throughout the program. Counselors will live in modern accommodations that include Wi-Fi, air-conditioning, and are convenient to our offices and campus. The accommodations provided are based on double occupancy. 3 breakfasts and 2 lunches are included during orientation. All meals are included while at the camps. When you're not at a camp your meals are not provided. As you view more photos and video, consider the program benefits. 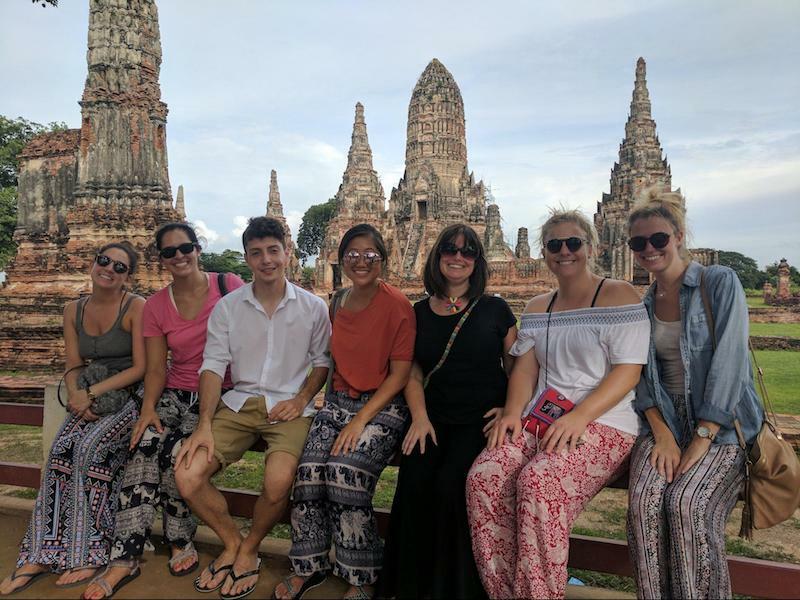 A second home with new friends, becoming more independent and confident, improving your beginning Thai since you're now living as a local and helping your community and the students at the language camp realize their goals of speaking English. Add an international reference to your resume which helps with future job applications because of your experience teaching English in a summer language camp in Thailand and you're ahead of the game. 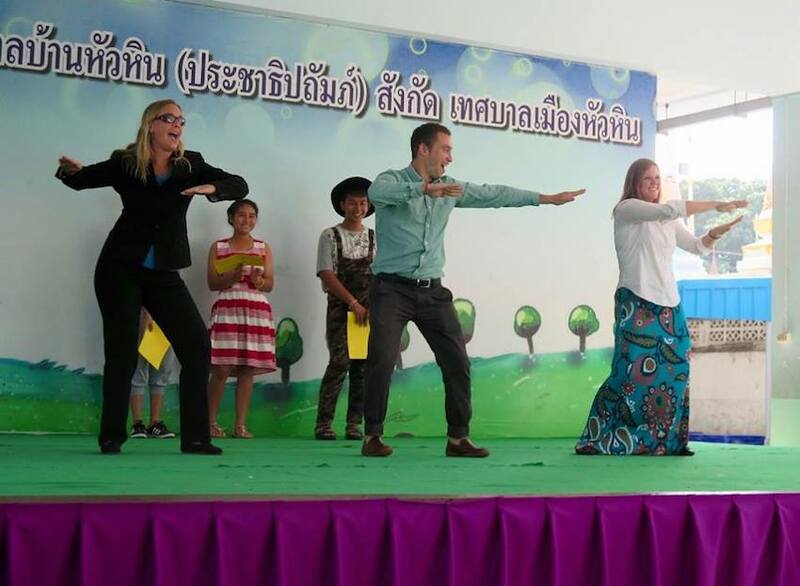 Part of the fun of a language camp is using English to perform on stage. 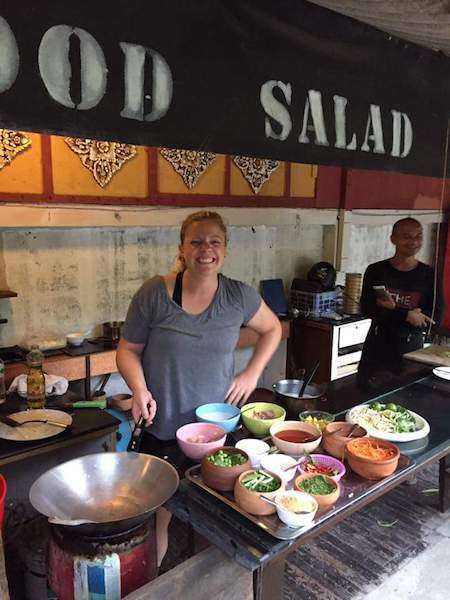 Take some time off and take a cooking class and bring back the knowledge of how to cook Thai food. 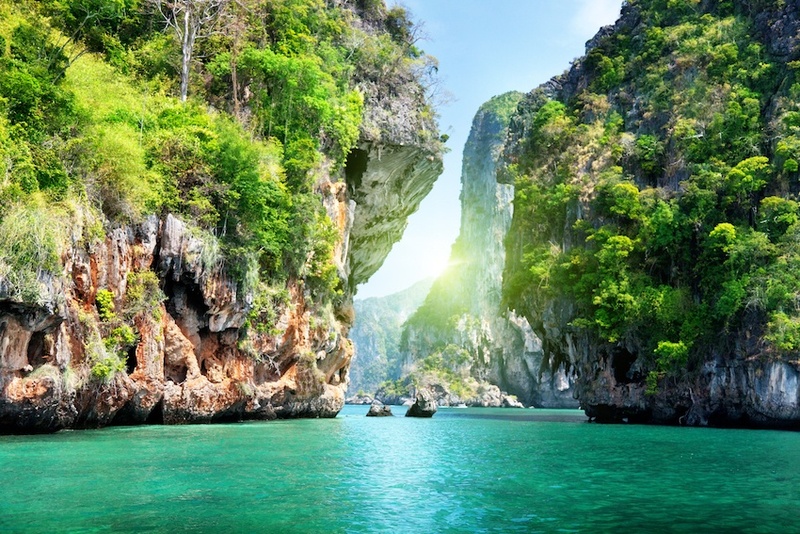 Take time before of after your time as a counselor and explore the beautiful beaches and lagoons in Thailand. Sometimes the students are monks! There really isn't another way to have more fun this summer than being a camp counselor in Thailand. Make lifetime friends being a language camp counselor in Thailand.